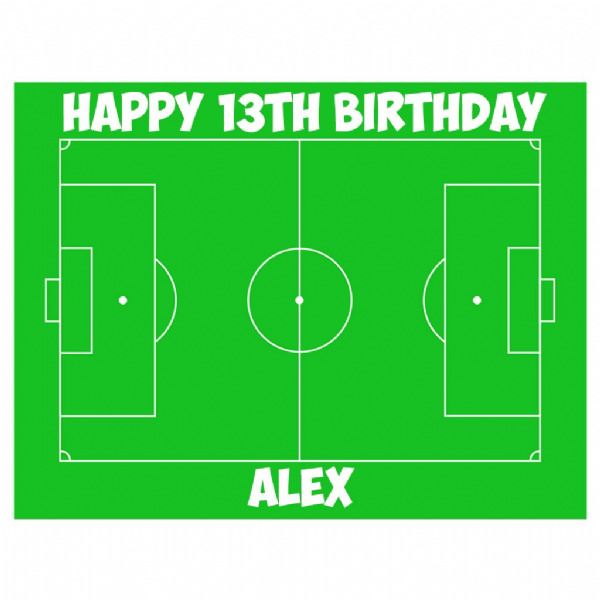 This topper is 10.5" x 8" and can be printed on Premium easy peel icing sheet or rice paper, choose from options above. 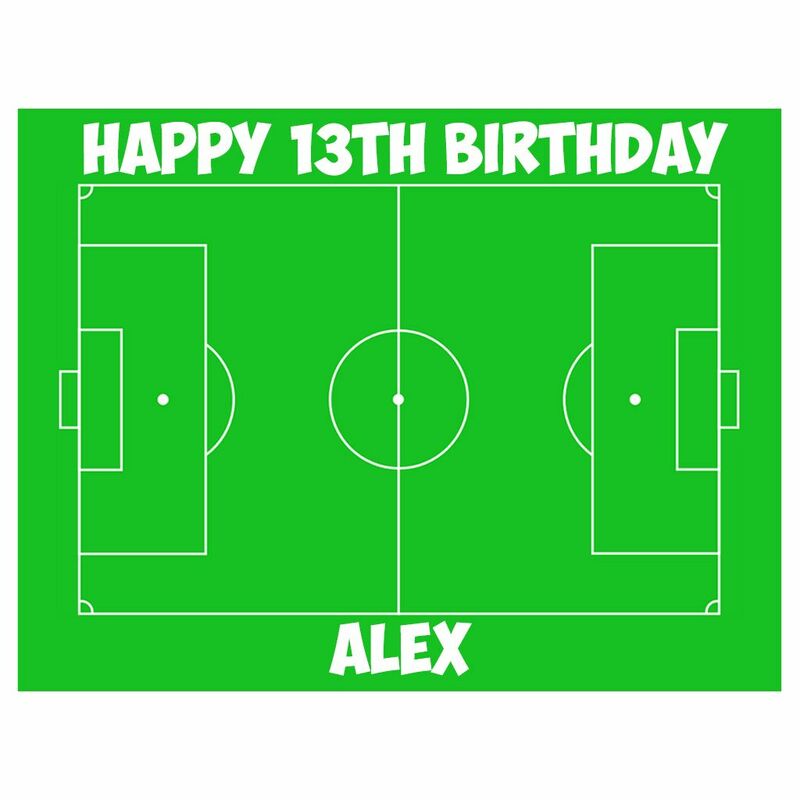 Personalised message can be added above and below the pitch and you can also add the club badge of your choice in the centre circle if required. Please leave details of the personalised message and any club badge required in the box above prior to adding the item to your cart.